Yesterday we spent the day in the holy city of Tzfat. Besides being an important part of Israel’s 1948 War of Independence, it is considered the center of Kabbalah due to the many great Rabbis and Kabbalists who emigrated there in the late 1400’s/early 1500’s following the expulsion of Jews from Spain. But what is Kabbalah, really? In our generation Kabbalah has been presented as something new and even separate from classical Judaism. Nothing could be further from the truth: Kabbalah is as old as Judaism and its teachings are as central to Torah as anything else we may have learned in Jewish school. There is a strong Jewish tradition that when the Torah was revealed to the Jewish people at Sinai, an oral explanation or way of understanding the Torah was also revealed and passed from generation to generation – what we call, the Oral Torah. That Oral Torah contained both a revealed and more rational part as well as a more spiritual and hidden aspect. Much of the revealed part is today found in the Talmud while the hidden and more metaphysical parts make up what we call the Kabbalah. So Kabbalah has been around at least as long as the Torah itself and is an integral way of understanding our Judaism, a way that resonates with more and more young people today. What is it about this ancient wisdom that speaks to some many young people today? Our generation today craves spirituality more than ever before. Our grandparents’ generation, consisting primarily of immigrants and second generation Americans, was focused on surviving and making it financially in a new world. They really didn’t have the luxury or time to ask the big questions and pursue a life of spirituality and inner meaning. Of course there were many important exceptions, but for the most part the kind of Judaism they bequeathed to their children was lacking in meaning and inner depth. Their children, living a more comfortable life in the suburbs of America began searching for more. Since the Judaism available to them seemed cold and ritualistic, Jews looking for contentment and fulfillment either looked to professional advancement or towards the Eastern religions for a spiritual path. They simply didn’t think Judaism contained a real path of enlightenment and spirituality or that could provide inner happiness. 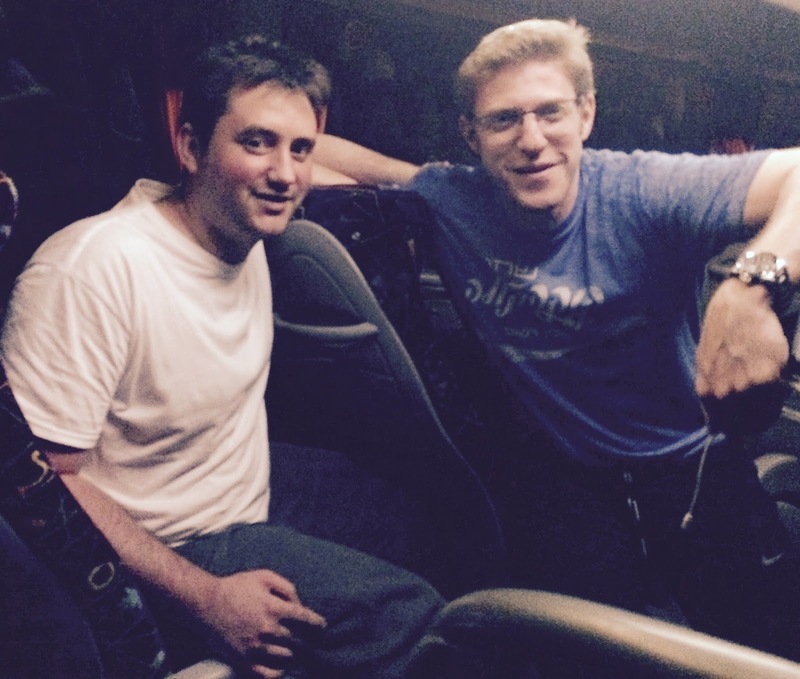 In Tzfat we met Avraham Lowenthal, a Kabbalistic artist who shared with us that growing up In California he felt Judaism offered nothing in the way of real spirituality. However, as a college student at the University of Michigan, he was introduced to the works of Rabbi Aryeh Kaplan, a noted author on Kabbalah, and his life was changed forever. He ultimately learned that Judaism did indeed contain great depth and spirituality. With his beard and peyos (sidelocks), dressed in all white and in his very chill West Coast cadence Avraham remarked: ”Guys…this wisdom of Torah is just so deep and awesome. You need to study the inner parts of Torah to see how powerful and spiritual Judaism really is”. Jewish Background/ affiliation: Grew up in a conservative household with Shabbat dinner on Friday. She has become a regular at MJE downtown and really loves the people and the events/activities. How do you get on this trip? The last time I went to Israel was almost 10 years ago. I have been anxious to return and this trip was the perfect opportunity. It’s so important to support Israel at all times! What are your brief reflections on the day (or the trip overall)? Yesterday was amazing-I specifically loved Amuka. When I was praying for my friends and myself I felt a strong spiritual connection and felt very connected to the land. When I was 4 years old a car crashed in my bedroom. Julie Praying at the grave of Rabbi Yonatan Ben Uziel in Amuka. Amuka means “depths” and this site is known to help find one’s soulmate. DRINK OF THE DAY – Israeli Craft Beer!? Just a few years ago, there were pretty much two options for beer drinkers in Israel: Goldstar and Maccabee (bad and worse). To the delight of many of the participants on the trip, we learned in Tzfat that Israel has a very up and coming craft beer scene. While traveling abroad in the U.S., many Israelis apparently picked up on the success of the microbrewery scene and noticed a business opportunity. Following their natural entrepreneurial inclinations, many have been able to successfully launch holy land home brewed craft beer brands. Great news for Jews who enjoy their brews! https://www.jewishexperience.org/wp-content/uploads/2016/05/mje-logo-website-gradient.png 0 0 Rabbi Mark Wildes https://www.jewishexperience.org/wp-content/uploads/2016/05/mje-logo-website-gradient.png Rabbi Mark Wildes2015-08-05 22:28:002016-07-07 00:02:04Day 3: What is Kabbalah Anyway? Day 2 : Giving Not Taking Day 4: Why Does Jerusalem Make Us Cry?